Choosing the right company from among the thousands of life insurance companies in the United States can be daunting. This is particularly true for those considered high risk life insurance or that have pre-existing medical conditions. At TermLife2Go, we help our clients navigate to the right company at the right price based on each clients unique need and health profile. That is the TermLife2Go difference. Not having enough coverage when they need it. Paying way too much for not enough coverage. Paying higher rates due to simple underwriting guidelines that should have been avoided in the first place. Having a policy end right when it was needed most. Having a policy that gradually becomes more and more expensive as time goes on forcing the insured to have to cancel their insurance after paying for it for several decades! Owning an insurance policy that doesn’t even pay out when a client dies of natural causes. 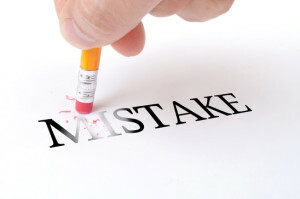 For these and many, many other reasons, we at TermLife2Go have chosen to write this brief article highlighting 10 mistakes to avoid when purchasing life insurance for the first time. Going with the lowest quote. Meaning that no matter what any sales person/life insurance agent tells you, ultimately the life insurance company itself is going to determine what your ultimate life insurance premium is going to be. Which is why it’s unfortunate that many life insurance agents will often quote a potential client a rate “better” than they will most likely qualify for, simply to get the potential client to choose to do business with them. Now you may be thinking…If the agent can’t actually offer the quote that they originally offered, I’ll just decide not to take the policy. Well let’s consider this option, because remember, by the time that you’re actually presented with an offer of coverage from the insurance carrier, you’ve also already in most cases have had to take a medical exam whereby you submitted a blood and urine sample and probably allowed the insurance company to order medical records from your doctor. This process—just to learn that you never actually had a chance to receive the original rate that your original agent quoted you—has now been going on for up to 8 weeks. Now do you see yourself choosing to start the whole process over again with a new agent? How about scheduling a new medical exam? Or re-requesting that your medical records be released again? And if you do decide to go through all this all over again, remember all that is going to happen is that you’re just going to get approved again at the same rate that you just got approved for with your original agent! For this reason, most people just give in and accept the higher offer because it is what they truly qualify for, and what other choice do they have. Now all of this can be avoided…if, during the initial application interview, you have an agent that walks you through what it takes to qualify for a particular rate class. Do you take any prescription medications? Have you been diagnosed with any pre-existing conditions? Has anyone in your immediate family (mother, father, brother sister) ever been diagnosed with cancer, heart attack, stroke or diabetes? Each of these questions serve three purposes to a well trained independent agent. 1st—They will help determine if you can qualify for a fully underwritten term life or whole life insurance policy. 2nd—They will help guide an agent to choose the right insurance company for you, this of course is only true, if your agent is not bound to sell only one type of insurance. 3rd—These questions help determine what rate class you will qualify for. Now with over 16 different rate class options, it is often difficult to determine exactly which one you will qualify for, but “spoiler alert”, if you’ve suffered from a heart attack, you’re agent shouldn’t be quoting you a “Preferred Plus” rate class. And yes we see it happen all the time! Deciding to purchase your life insurance directly through the insurance carrier. This is another very common mistake when buying life insurance—going through the insurance carrier. Now the first thing one needs to understand about life insurance prices is that it when it comes to price, it doesn’t matter who you purchase your life insurance policy from. The reason for this is that all pricing must be submitted to the state insurance department for approval by each individual life insurance company. This price will then be approved by the state insurance department and must be “fixed” as in anyone selling this life insurance product, must do so at the state approved rate. Which means that, when it comes to life insurance, the rate that you will be charged for your insurance, will be the same whether you choose to purchase it directly from the insurance carrier, or you elect to use a licensed life insurance broker. Well, the answer to this question is a bit more complicated, but in the end, it’s going to come down to leaving yourself more options is you choose to purchase your life insurance from a broker. Has anyone in your immediate family (Mother, father, brother, sister) been diagnosed with cancer, heart attack, stroke or diabetes? What’s your driving record look like? Do you have any bankruptcies? What if you don’t get approved? Will there be other options if you’re working directly with the insurance carrier, or will they simply try to get you to buy an accidental death policy? What if the “quoted rate” and the “approved rate” don’t match, are there any other options other than simply paying more? By choosing to buy your life insurance policy directly with the insurance company, you’re basically putting all your eggs in one basket! When it comes time to buying cable TV or you’re trying to get a great deal on your cell phone, by all means “Bundle” to your heart’s content! But don’t get fooled when it comes to life insurance, in fact, just by deciding to bundle your life insurance, you could actually be making five life insurance mistakes that can haunt you later on. The “Devil is in the Details”. As noted in mistake #2, life insurance rates are approved by individual state insurance departments and must be the same no matter who is selling the life insurance. See Bundling my life insurance cost me thousands! The life insurance will not be discounted, this rate needs to stay the same as dictated by your states insurance department. Now let’s look at each of these types of insurances and point out what makes life insurance different from the rest. When you purchase your Life insurance, the rate that you pay will be fixed for a set period of time, i.e. your whole life, or some set period of time (term). Life insurance is much more difficult to qualify for, and will certainly become more difficult to purchase as you get older. You have an automobile accident? You get two or three speeding tickets? You’re home has a fire or is burglarized? What happens to your discount then? Are the rates guaranteed for the next 10, 15, or even 30 years? Or did your bundle just fall apart? Sounds reasonable, but let’s just consider a few things first when it comes time to reapplying for life insurance. At the bare minimum, you’re going to be older when you decide to change insurance companies, which means depending on how old you are, your new life insurance policy will probably cost around 10-30% more than you’re currently paying. *It’s not uncommon to see at 20% or higher rate increase per year as one ages particularly after they have reached age 40. For applicants in their 30’s annual rate increases are generally much lower. Have gained a few pounds. Have been diagnosed with some type of medical condition. May have begun taking some type of prescription medication. May have filed for bankruptcy. May have received a couple of traffic tickets, after all something caused you to want to get rid of your bundle, right? The point is, there’s no guarantee that you’re going to find better life insurance elsewhere if you do decide to leave and now you’re stuck keeping that portion of the bundle that you originally purchased. And here’s the thing, when it comes to bundling, the only portion of the bundle that is truly guaranteed to years and years is the life insurance portion, so shouldn’t that be the most important portion of the bundle to consider? Shouldn’t that be what you’re comparing when you purchase your life insurance options? This is why we post all the prices for the insurance carriers that we offer, it’s because we know that when consumers have access to all the information, they’ll choose us every time! Not understanding exactly how much coverage one will need. If there is one thing that the “Great Recession” has taught many of us, it’s the value of a consistent paycheck. For this reason, it seems like mistake #4 isn’t as common as it once was before, but is still a huge mistake when buying life insurance. Nowadays people seem to understand that a $100,000 life insurance policy for someone in their 40’s with two kids just isn’t going to go very far. The problem is that for many who are looking to purchase life insurance, they’re doing so to take care of the here and now and aren’t looking into the future 10 or 20 years from now. Which is why, not buying enough life insurance the first time you buy a policy can definitely be a mistake that will haunt you later on down the road. For this reason, we here at TermLife2Go do try to give all of our clients a complete insurance needs analysis before making any recommendations and typically focus on price first. You can also read through our life insurance frequently asked questions page to get better acquainted with the most common life insurance questions. Well its simple, if an insurance policy fits easily into your budget, you’re much more likely to have it in place when you need it. Far too often we get calls from clients who have told us that they used to have a ton of life insurance, but they got rid of it because they couldn’t afford the payment. We don’t want that to happen to you! Additionally, we’ll often have clients calling us looking for additional life insurance coverage to supplement what they already have. These clients can frequently become our most difficult clients to work with because they have a hard time understanding that buying a life insurance policy when you’re 50 years old is a lot different than when you’re 30! By different, we mean harder to qualify for and more expensive! Now imagine had these clients bought more coverage when they were younger, they wouldn’t have needed to go looking later on in life. Mistakes when buying term life insurance are only limited to where you buy your life insurance, they can often include the type of life insurance you buy as well! As a life insurance agent, one of the first things I like to tell my clients is that no matter what I say to you, and no matter how badly you want to purchase life insurance from me today, the truth is, it’s probably going to take about 4 to 8 weeks to get a fully underwritten term life insurance policy in place. and second, it gets everyone to relax. What are you trying to achieve by buying life insurance? Looking to protect your family? In other words…what’s the reason? From there, we can try to see which type of insurance is going to be the best fit for you. a fully underwritten policy vs a simplified and/or guaranteed life insurance policy. a burial/final expense life insurance policy vs traditional life insurance coverage. After you’ve agreed to a life insurance policy, you’ve simply done yourself and your family a huge disservice. “All I want is a quote”. Into the phone, over and over. Now much of the blame for this in our humble opinion was due to the fact that the client was calling in response to some ridiculously low rate for life insurance that was being advertised (something to the affect of: Save 70% or more on life insurance—CALL NOW) but it was also revealing just how little the general public knows about the actual process of purchasing life insurance. Buying life insurance is not like buying a gallon of milk! In fact, many people, regardless of how much money they are will to pay to purchase life insurance, simply won’t be able to qualify for it! Which is why it’s important to realize that many of the mistakes to avoid when buying life insurance, come by simply understanding that purchasing a life insurance policy is a process. A process that when done right, should only need to be done once! Being able to buy life insurance isn’t a right, it’s something that you are going to have to qualify for, and it’s something that can be quoted over the phone without knowing at least a few basics. Whenever someone tells me this, my immediate response is GREAT! Who’s the insurer for your policy? I ask this because it seems like every time someone tells me that they have enough employer owned life insurance coverage through work, it’s almost like they’re using this as an excuse to not actually do their homework and figure out what type of life insurance coverage they have through their employer. After all the most basic piece of information concerning your life insurance coverage though work would be who the insurance company is, wouldn’t it? How much life insurance coverage you actually have? What type of coverage is it? Will the life insurance coverage expire or depreciate later in life? Do you get to keep this coverage after you leave this employer to retire? Let’s suppose you suffer from a heart attack 6 months from now and are no longer able to continue working for your current employer. Will you be able to keep your existing life insurance as it is now, since you are no longer an employee of the company? What will be the cost of this coverage if you can? How long will you be able to keep this coverage? Will the cost of the insurance increase as you age? Or will you now need to find life insurance on your own, having just suffered from a heart attack which will make it very difficult not to mention very expensive. ****Side Note: When you take the time to purchase your own life insurance coverage separate from any employers coverage, the answers to these questions are simple. Choosing some arbitrary date for getting insured. This is one of the most common mistakes when buying life insurance because very few people consider their own mortality. I always tell client’s that the best time to buy life insurance is the day before they die…Now if you’re not sure when that’s going to happen, the safest and least expensive option is to buy it today. Age is typically the number one factor in determining the cost of your coverage, so much so that most insurance companies will use one’s “insurance age” in determining what rate one should receive. It’s a formula used by insurance companies to determine what actual age you should be considered when purchasing life insurance. Basically what an insurance company will do is, they will either round your age up or down depending on which birth date you are closest too. Meaning that if you’re 4 months away from turning 40, most insurance companies are already going to consider you 40 and price you accordingly (all the more reason to use an insurance broker that can specifically look at insurance companies that use true age vs insurance age). Only insuring the primary bread earner. So often clients will forget what it would take financially to replace a full time homemaker. Which is why it’s so important not to link one’s financial value solely to a pay check. For those that don’t immediately understand this, I’d recommend that they reach out a single parent that they know of and ask them “How their day is going”. Daycare and after school programs. Eating outside the home much more often. Well then, you may want to reconsider not getting a small life insurance policy on your Non-income generating partner (many of us here at TermLife2Go have been single parents and refuse to use the term, “non-working partner”). Taking “NO” for an Answer. Or a host of other strange and bizarre internal underwriting guidelines many of the larger insurance brokerages will use that literally have nothing to do with an actual insurance carrier underwriting guidelines. It’s just something that they choose to use to streamline their own sales processes in an effort to maximize their own profits. So there you have it, the top 10 most common mistakes people make when buying life insurance. Now there’s another 100 or so mistakes we could have listed, but HEY, that’s just another thing you won’t have to worry about should you decide to TermLife2Go a try! Here is a bonus mistake people buying life insurance make—they do not consult our articles, Tips for Acing Your Life Insurance Exam and Exploring What Life Insurance Exams Test For. We work with dozens of the top rated best life insurance companies in the United States. We stay on the cutting edge of the various niches within the life insurance world. This allows us to tailor a policy to each client’s individual need so that we place that client with the best company at the best price for that specific client. Our team of seasoned life insurance professionals will take the time necessary to provide you with the right product as well as service second to none. We do not favor one life insurance company over another. Instead, we find out what you need and then we recommend the lowest priced, best life insurance company to meet your specific need. Therefore, if price matters to you, give us a chance to earn your business. We are here to serve you! Give us a call today or simply enter your information into our quote form. Previous Post: Genetic Testing Ruined My Life Insurance Application!